As this fiscal year draws to a close, tax planning is now an important concern for a lot of people. Section 80C of Income Tax Act allows tax payers to claim deductions from their taxable income by investing in certain instruments.Equity Linked Saving Schemes (ELSS) is one of the most popular investments allowed under Section 80C, since the investors can avail three benefits - capital appreciation, tax free dividends and tax savings. An ELSS is a diversified equity scheme with a lock in period of three years from the date of the investment. If you investment in an ELSS through a systematic investment plan (SIP), each investment will be locked in for 3 years from their respective investment dates. There are both growth and dividend options for ELSS. For tax purposes, returns from ELSS are tax free. Compared to other tax saving instruments under Section 80C like PPF and NSC, ELSS has a much lower lock-in period and has the potential of offering superior returns over the long term. 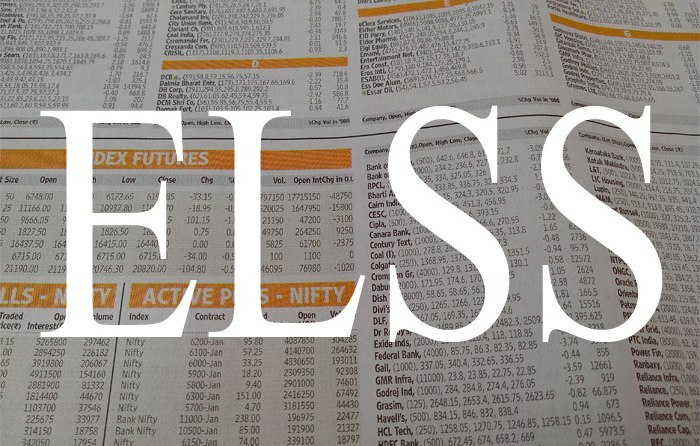 However ELSS is subject to market risks, like other mutual funds. This scheme has provided the highest 3 year annualized return at 12.2%2. It has consistently outperformed all its peers in terms of annual returns over the 3 years period. Volatility of returns is low relative to its peers, as per CRISIL ranking. Its portfolio is sufficiently diversified, with a large cap bias, with HDFC bank, TCS, L&T, Kotak Mahindra and ITC accounting for nearly 31% of its portfolio. However, the overall portfolio is sufficiently diversified with the top 10 stocks accounting to just over 51% of the portfolio. The fund is well diversified across sectors with the top 3, Banking / Finance, IT and Pharma accounting to just over 50% of the portfolio. The scheme’s 3 year annualized return stand at 9.4%2, while 1 year and 2 year annualized returns stand at 1.98% and 13.9% respectively outperforming ELSS as a category over each of these periods. Volatility of returns is quite low relative to its peers, as per CRISIL ranking. In terms of portfolio composition, the fund has a large cap bias with HDFC Bank, Bharti Airtel, Infosys, ITC and TCS accounting for nearly 25%, the fund is well diversified with top 10 stock accounting for only 43% of its overall portfolio. In terms of industry concentration, Banking / Finance, IT and Telecom account for 45% of portfolio. The 3 year annualized return of this fund is 7.4%2. While the volatility of returns is higher relative to its peer set as per CRISIL ranking, it has provided high annualized returns relative most peers, over 1 and 2 periods, at 6.3% and 16.3% respectively. The fund portfolio has balanced large cap and mid cap mix. The top 5 companies, Infosys, Biocon, Tech Mahindra, L&T and HCL account for 23% of the portfolio value. In terms of sectoral allocation Banking / Finance, Consumer Cyclicals and IT account for about 54% of portfolio. The annualized 3 year return is 7.2%2. The fund has also performed consistently over 1 and 2 year periods, with annualized returns of 3.8% and 12.5% respectively. Volatility of returns is quite low relative to its peers, as per CRISIL ranking. The fund manager has balanced mix of large cap and mid cap scrips in the portfolio. Top 5 companies TCS, Britannia, HDFC Bank, Wipro and HDFC accounting for 29% of the portfolio. However, the portfolio is diversified with the top 10 holding accounting for about 45%. In terms of industry concentration IT, Pharma and Banking / Finance account for 37% of the portfolio. The annualized 3 year return is 6.9%2. The fund has provided annualized returns of 4.6% and 14.3% over 1 and 2 year period respectively. The volatility of returns is average relative to its peer group, as per CRISIL ranking. The portfolio is fairly well diversified across large cap companies, with the top 5 holdings NDMC, ICICI Bank, Infosys, HDFC Bank and Reliance accounting for nearly 25% of the portfolio value, while top 10 holdings account for about 40% of the portfolio. In terms of industry exposure the fund is well diversified with Banking / Finance, Oil & Gas and Pharma accounting for nearly 46% of the portfolio. The annualized 3 year return is 5.9%2. The 1 and 2 year annualized returns stand at 2.8% and 17.2%. Volatility of returns is higher relative to its peer group, as per CRISIL ranking. The portfolio is fairly well diversified, across large cap and mid cap scrips. The fund is fairly well balanced in terms of mix between large cap and mid cap scrips, with the top 5 holdings, ICICI Bank, ITC, Infosys, Reliance and Escorts, accounting for 21% of the portfolio. The top 10 holdings account for about 37%. In terms of industry exposure, Banking / Finance, Automotive and IT account for 47% of the portfolio.